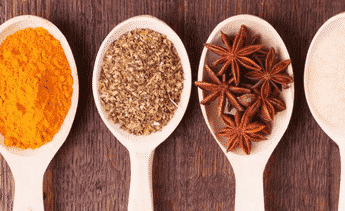 Your immune system is responsible for much more than helping heal cuts and keeping you from catching that cold that’s going around the office. Long term it can help you avoid more serious diseases. That’s why you should make it daily practice to drink lemon water as well as eating foods that keep your immune system humming along. The potassium in lemons is what is responsible for this increase in brain function. You don’t want to run a potassium deficiency, and lemon water is just part of an overall approach to getting more of it in your life. Consider eating other potassium rich foods throughout the day for better mental performance, less brain fog, and overall better feelings. Why add it to your morning routine: Your brain needs all the help it can get in order to fire on all cylinders and power you through your day. Eating the right foods and drinking lemon water first thing can help with a number of brain related conditions. While lemons and lemon juice taste like they’re acidic, they have an alkaline effect on the body once they’re consumed. Drinking lemon juice in the morning is a good way to help bring your pH levels towards the alkaline side, which will help you feel your best. A morning beverage like coffee will only act to make you more acidic, so go in the opposite direction by having a simple cup of hot lemon water when you wake up. Even if you do have coffee later it will help to balance it out. Lemon water alone is not going to make a huge dent in your pH levels. If you feel that you are heavily acidic you’ll want to talk with your doctor and switch to a diet rich in alkaline forming foods. Why add it to your morning routine: If you believe that you are typically at acidic levels, drinking lemon water is a way to introduce alkalinity to the body and help balance those levels for optimal health. Most people do not know that Cancer and Related illnesses reside in Acidic conditions…Drinking lemon water will cause you Urine PH to stabilize more so on the Alkalinity side thus, aiding the body in its attempts to starve our or hampering Cancer Cells growth….fact also you can not change the body PH only the urine PH you can sit out 16 oz glass of distilled at room temperature and in the morning add to that 1/2 lemon juice, or the entire lemon juice….twice a day is the recommended amount, but additional water (up to 64oz) should keep the body well hydrated …try it you will like it. It is been advised to drink atleast a litre of water in the morning. 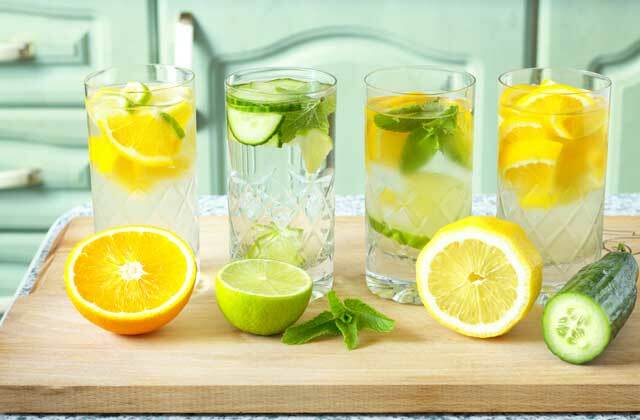 How to manage both plain water and lemon-honey water in the morning? Also, when can one have breakfast? I have started drinking 5-6 glasses of plain water every morning immediately after waking up before brush. And now I also want to get benefits of drinking lemon juice with warm water. Pls. suggest me how to manage both drinking habit. I have been asking myself the same question. Between lemon juice and water, which one should come first? I drink lemon with water every single morning, I do not know if one lemon per day is enought but I do definitely feel good! Drink lemons! Great article, congrats to the author. Hello,I drink a glass of lemon water every morning.I been doing this for a month. After my cup of warm lemon water in the morning can the rest of my water during the day be a cool temperature and be just as effective? 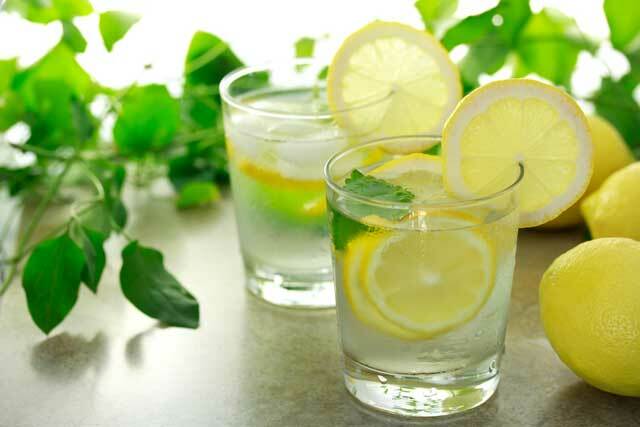 Informative – a glass of half fresh lemon with warm water first thing in the morning keeps me in good health. Lemon works wonders in human body. Hi! This might be a silly question but can you get these benefits if you drink lemon water at night instead of the morning? Since lemons are naturally rich in vitamin C, SOME people (not everyone) may have trouble sleeping if they consume lemon water at night. I usually advise my patients to take it in the morning since it triggers the digestive system (release of gastric acid + enzymes) and will thus facilitate nutrient absorption. If you really can’t stomach it in the morning, do you think you could have the lemon water about 10-15 minutes before your dinner (instead of having it just before bed)? Hi there, why did you delete my post? I wasn’t advocating that Lemons can cure cancer! I know that! It’s the Clinical Trial drug that’s so good that’s curing me! It’s just that i believe that Lemons are helping my immune system! Now, since it’s obvious to me that you’re feeling so touchy and insecure about “comments”, maybe you should add an “ëdit” option. And, since your Posters take the time to post a comment on your site, i think that it would be nice if you were a little more respectful and took a little time out of your day to actually reply to them. Is that too much trouble for you? Regards. This is the info I found when researching hot water & lemon at night: I hope you find it helpful. If you suffer from common ailments like constipation, sinus congestion, frequent sore throats, or even blotchy skin, you can benefit greatly by counting a cup of warm lemon water as part of your nightly bedtime routine. Lemons offer you many of the remedies you need to overcome these conditions without causing you to overdose or suffer other ill side effects. You can wake up feeling renewed and ready to make the most out of your day by adding this beverage to your nightly routine. 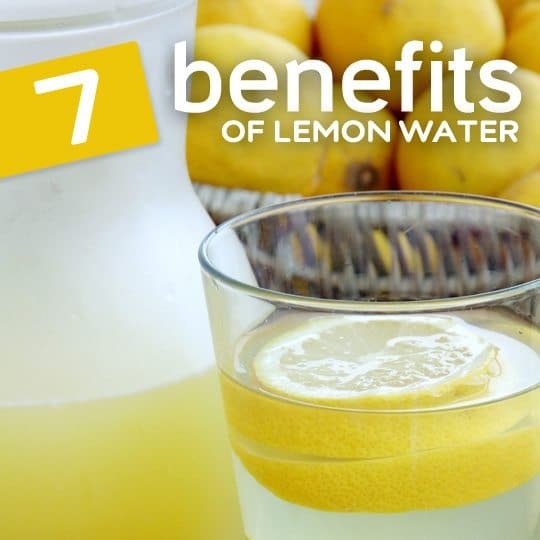 In fact, people who are fans of warm lemon water drink this nighttime beverage to detox their bodies overnight. Throughout the day, you may not adhere to the best diet. You likewise may be exposed to toxins that, if not removed promptly from your body, could make you sick. Contaminants are found in drinking water, the ground, and even in the air you breathe. When you want to detoxify your body with an affordable and all-natural approach, you can start the process by drinking a mug of warm lemon water each night. Likewise, if you often wake up with a sore throat or congested sinuses, you can give your body’s immune system a boost by drinking in a nightly cup of Vitamin C enriched lemon water. The Vitamin C in the water will have time to bind to the infections in your blood and speed up with these agents’ removal from your body. As you sleep, your immune system will work better because you gave yourself this extra injection of Vitamin C that it needs to keep you healthy and fight of cold and flu viruses that will make you sick. The acidity level bit sounds like hokum to me. Lemon juice is citric acid, far more acidic than coffee. Why on earth do you think it would act as an alkali? The other points seem pretty sound, though. Honey is also good for you in many ways. So adding honey to the recipe will be great. Is it ok if you make the lemon in the water as your water the wholeday ? Is it fine if I just drink lemonwater instead of normal water? I’ve just been drinking lemon water as normal water as well, I’ve noticed no detrimental effect on my health. If anything, my skin is clearer and brighter, and I’ve felt less… bogged down? I don’t know. I drink ice lemon water as well, which isn’t exactly recommended. It just feels a lot better. I’ve been squeezing the juice and pulp of 2 lemons into a gallon spring water and drinking that daily. Is that too much lemon? I am drinking lemon juice and honey in cold water every morning when I wake up. After that going for a 40 minute walk. Is it good drinking it with cold water. I am 68yo female, regular light smoker & red wine drinker, tall with a slim to average weight, and not exercising like i used too. I am also currently on a clinical trial for my lung cancer. I was given 4-6 wks to live, just on 2yrs ago. Despite my struggle to quit the smokes after 60yrs, my Doctor is always absolutely thrilled by my “super pure” Blood Tests/ CT Scans. I really don’t know what is “curing” me, and the fact that i don’t suffer the same bad side-effects like other patients do . Is it just the Clinical Trial drug i get every 3 weeks, or a combination of the Drug and the fact that, every day i put so much trust in the anti-inflammatory benefits of Lemons? I’m not a health fanatic, but eat & drink every in moderation, but, every morning/ night i drink 2 x large mugs of warm green tea alternated with the juice of 1x large lemon. I also add the juice of 1x lemon to a 600ml bottle of bottled spring water. I drink the juice of 4 x lemons daily! I’m being cured of cancer, and feel really great, but still don’t really know why my cancer results are always so good. Is it the 4 x daily Lemons? Oh, btw, i was always using raw honey, but it got far too expensive, so now using sugar or equal! But, sugar is NOT good for cancer! Ooops, maybe i was a bit hasty after seeing my Post disappear! Sorry! Please give your Posters an Edit option, so that they can edit their Post. I would like to edit mine. I am NOT advocating that Lemons alone can cure cancer! I just believe that Lemons are good for my immune system in turning it from acidic to alkaline, especially since i’m a sweet-tooth. If you still decide to delete my first Post after my second Post, that’s cool, i understand. Regards. Lemon juice to start the day…followed by plain water up to 64oz….total…..and dont forget to add lemon juice to your meals….thats why they ask you if you want lemon in your water at places you dine….Lemon will certainly up your alkalinity which makes it easier for the body to maintain blood and organ balances….you can only change or effect changes in your urine ….but it works to help cleanse the various organs in your body and keeping you in good health….twice a day for sure, but in between with meals is ok also….stay well hydrated.